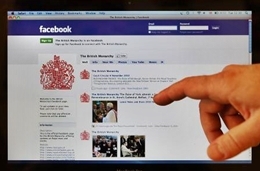 Any doubt about suspicious activity on your Facebook wall? Don't worry there is a feature to check activity for your Facebook account. These settings should help you quickly detect if any other person is secretly logging into and posting abuse content on your Facebook account. I am going to teach some simple tips about Facebook security that will help you determine is someone else is secretly logging into and using your Facebook account. How to Check if Someone Else is Using Your Facebook Account? "Active Sessions" is a amazing tool to monitor any unauthorized access to your account and end it anytime you wish without having to log out in the actual device/computer it is on. Here is how to use Active Sessions. Hi! I am Gagan Masoun, a certified SEO Consultant, Pro Blogger, Electrical Engineer and an addicted Web Developer.Read More..